For some time now research has shown that early intervention leads to better outcomes for kids with autism. So it’s hard to overstate how difficult it is for parents to sit on waiting lists that stretch for years to get the government-funded autism supports their children so desperately need. That terrible wait is the piece of this challenging health care file that the Ford government decided to tackle by doubling the funding to get kids assessed faster and handing money directly to families to clear the waitlist for autism services within the next 18 months. If the government could actually deliver on that promise — and it seems impossible given the shortage of qualified professionals in the system — this new direction would provide some immediate relief to families in need. But it comes at an incredibly steep price for all kids with autism down the line. And those with the greatest need are at particular risk of getting far less support. And it provides even more cause for concern about the Ford government’s plans for broader health care reforms. Much like the hallway medicine crisis — a term that has become shorthand for packed emergency rooms, unavailable health care services and long waits for long-term care beds — that the Progressive Conservatives have promised to fix, they set out to repair the Liberals’ “broken” autism program. 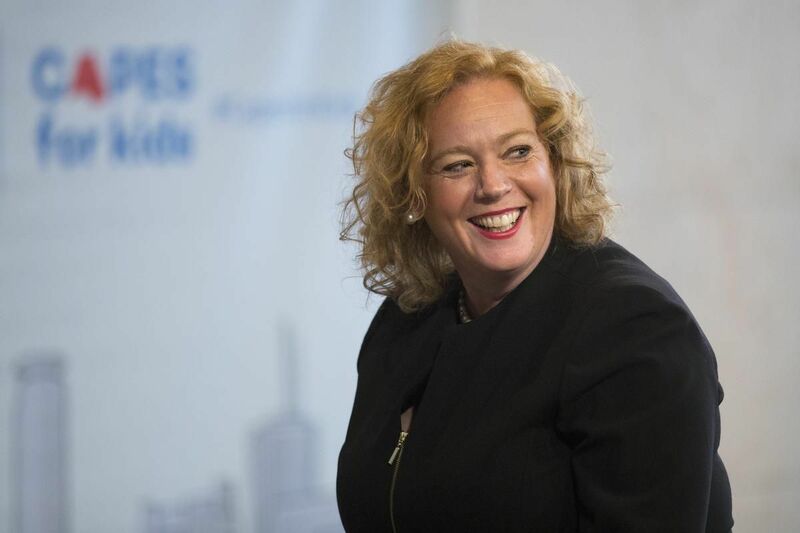 And now, with Wednesday announcements by Children’s Minister Lisa MacLeod, we have a clear example of what this government thinks a health care fix looks like. In this case, it doesn’t mean more funding or even figuring out how to provide better services for the existing money. According to the Ford government’s theory of health care funding, a budget that currently provides services to 8,400 kids with autism can, somehow, be stretched to provide quality services for more than three times that many. It’s such a ridiculous notion that the government couldn’t even keep all its own people onside for a single day. Bruce McIntosh, a political staffer for MacLeod’s parliamentary assistant, resigned in protest. McIntosh, a former president of the Ontario Autism Coalition and father of two teenagers with autism, said the government heard from parents but didn’t listen. “This was a lock from the outset,” he said. Under the new system, families will get a lifetime budget to go shopping for the services they think their kids need. The minister calls it giving parents the power to choose, but it doesn’t — and especially not for those with children on the high-needs end of the spectrum. That’s because even families with the lowest incomes and youngest kids, who qualify for the maximum $140,000, will blow through all that with just two years of intensive therapy. Perhaps she hopes to figure out something else by then, or assumes that it will simply be another government’s problem to deal with. But to govern Ontario and reform any aspect of health care takes the ability to think more than one step ahead. There’s no evidence the Ford government has done that with this crucial file.